The 2017 Dodge Journey Crossroad is the definition of versatility, combining rugged design and off-road capability with a wide range of interior features, along with expanded gas mileage and convenient storage options. Unrelenting style and strategic engineering result in a compact SUV that truly has something for every driver. Equally equipped for roads and trails, the Journey Crossroad makes every drive an experience, turning plenty of heads along the way, whether you're making your way through Glen Carbon, or areas near Belleville, IL, Florissant, MO, or Edwardsville, IL. 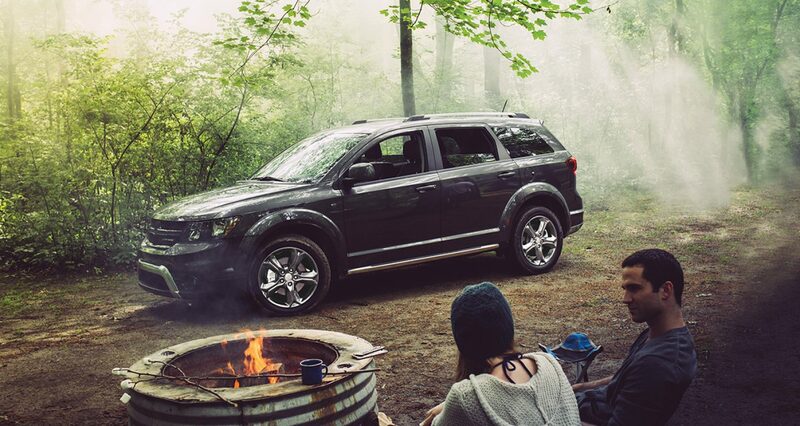 Regardless of where the road leads you, the 2017 Dodge Journey Crossroad always offers adventure. If you're looking for somewhere to test drive a 2017 Dodge Journey Crossroad near Bellflower, IL, come see us at Cassens and Sons Chrysler Jeep Dodge Ram! 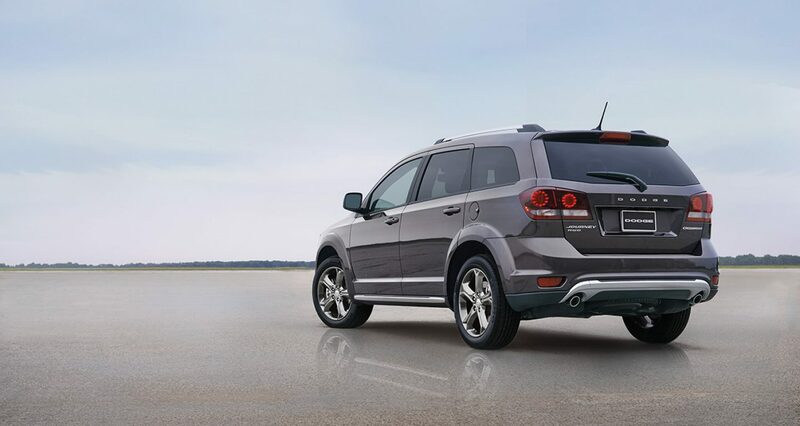 We have the perfect Dodge Journey Crossroad for sale in Glen Carbon, IL for your needs and budget. Our dealership serves the auto needs of the Southwestern Illinois area and beyond, and our expansive inventory of both new and pre-owned Dodges will be sure to have your perfect one in stock. Come by and meet our staff- we'd love to help you find a great deal on a Dodge Journey Crossroad in Glen Carbon, IL. Come in to view all the vehicles we have available on our lot, or feel free to contact us at the dealership with any questions you may have about our inventory or financing. The 2017 Dodge Journey Crossroad walks the line between rugged and sporty. 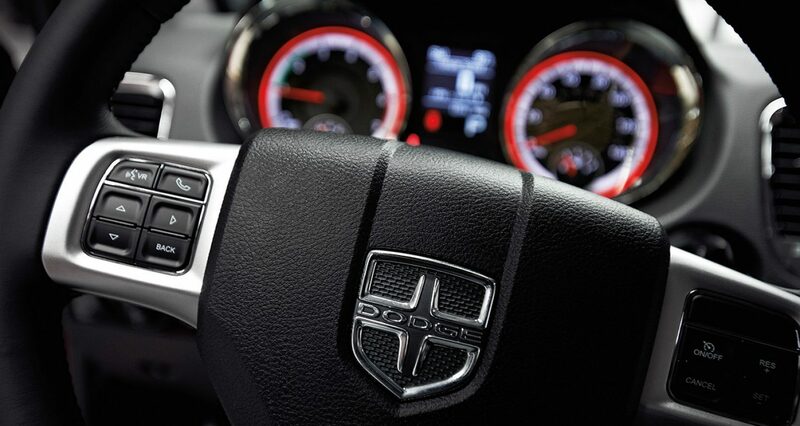 Dodge's familiar grille design serves as the centerpiece, flanked by LED headlights and a chiseled body style. A sleek roof rack and vibrant taillight assembly helps to round out the look. On the inside, the 2017 Journey Crossroad is defined by both comfort and convenience. Numerous storage options include both the seats and the floorboards, along with several fold-down configurations that allow you to accommodate more legroom and larger cargo. A 4.3-inch touchscreen displays gives you control over media, phone calls, and more, all of which is compatible with Uconnect® Voice Command via Bluetooth®. Multiple USB connections and a one-year subscription to SiriusXM® satellite radio provide you and your passengers with even more entertainment options. Three-zone temperature control allows for customized climates anywhere in the cabin, while multiple 12-volt outlets are available to accommodate many devices. The 2017 Dodge Journey Crossroad places an emphasis on performance that is noticeable on any type of road. The SUV's 2.4-liter I4 DOHC 16-valve dual VVT engine offers 283 horsepower, giving you the speed and power needed in an instant, while also easily handling towing and heavy loads. Both all-wheel drive and front-wheel drive are available, providing you with the option to have even more off-road power. The Crossroad's Autostick® transmission system provides precise and calculated shifting each time, sensing torque and acceleration needs. A touring suspension system ensures a smooth ride. If you'd like to browse a superior 2017 Dodge Journey Crossroad inventory near Belleville, IL in person, come see us at Cassens and Sons Chrysler Dodge Jeep Ram today! We'd love to get you behind the wheel for a test drive.